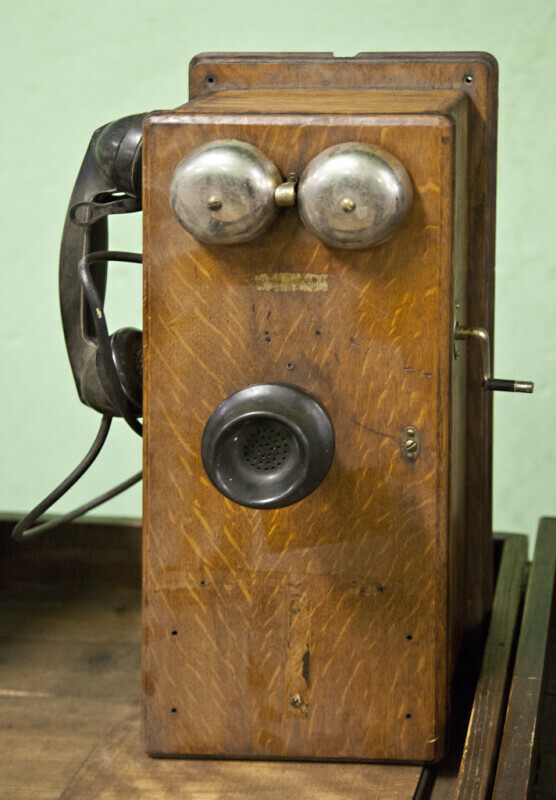 This is an antique wall phone, with a wooden case. The handset is likely a replacement, since there is a transmitter built into the case. The ringer is mounted on the outside of the wood case.